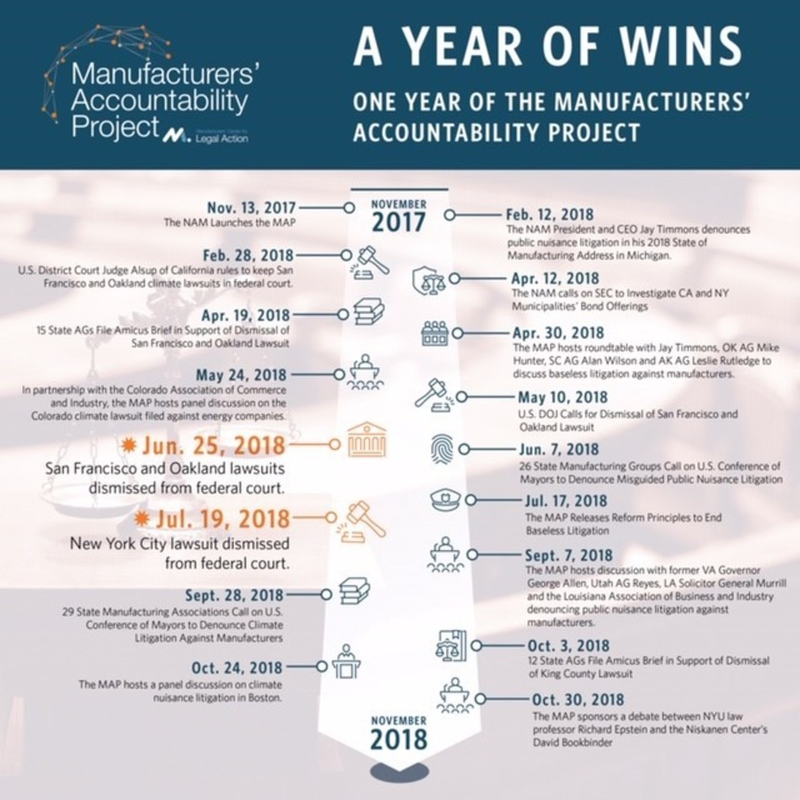 Since officially beginning one year ago, the Manufacturers’ Accountability Project (MAP), for which CMTA is an ardent supporter, has tallied a series of wins in its campaign to push back on the baseless public nuisance lawsuits being filed against manufacturers all across the country. From exposing the legal flaws in these lawsuits at events across the country to seeing these suits dismissed from courts in California to New York, the MAP had an exciting and successful first year standing up for manufacturers in America. Even with these promising developments, there is plenty of work to be done. Just one successful lawsuit could open the floodgates to costly litigation at the expense of manufacturers. With cities appealing the rulings against them, manufacturers will continue to face costly court battles, spending resources that could otherwise go to creating jobs or investing in new technologies.
" + integer1 + " " + operators[operatorInteger] + " " + integer2 + " = " ); document.write("What's the last name of California's governor? "); This helps us eliminate spam.